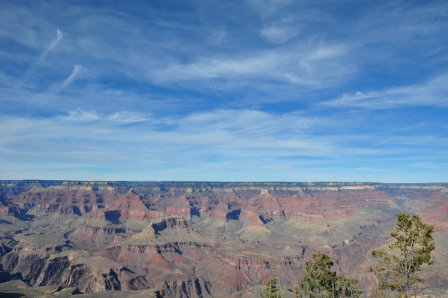 Standing at Mather Point, one of Grand Canyon South Rim’s premier overlooks, I almost stopped breathing. It wasn’t like any spectacular views I have seen before, not even Mount Everest in Tibet. 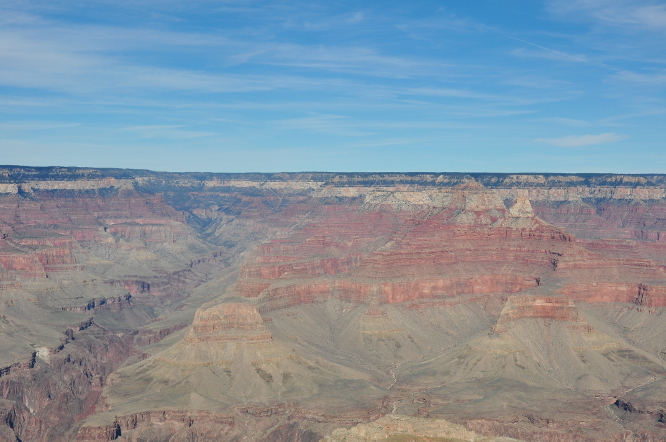 Actually, to say it’s spectacular isn’t the right way to describe Grand Canyon. It is a piece of land that inspires our spirit! The Grand Canyon National Park is located in the northwestern corner of the state of Arizona in Coconino County, in the United States of America. 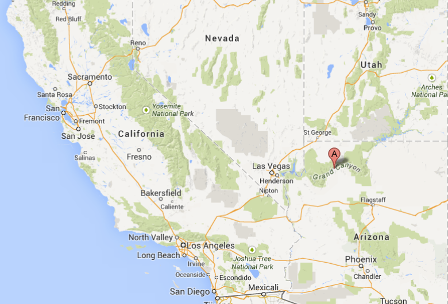 The Grand Canyon is located entirely in the state of Arizona. 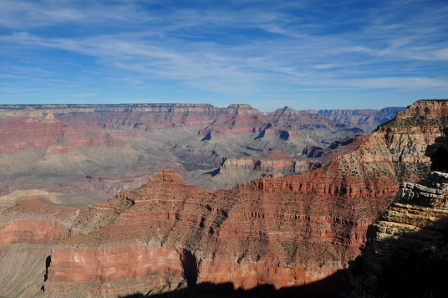 The nearest cities to the Grand Canyon South Rim are Tusayan, Williams and Flagstaff. Click the image below to view the location in Google Maps. 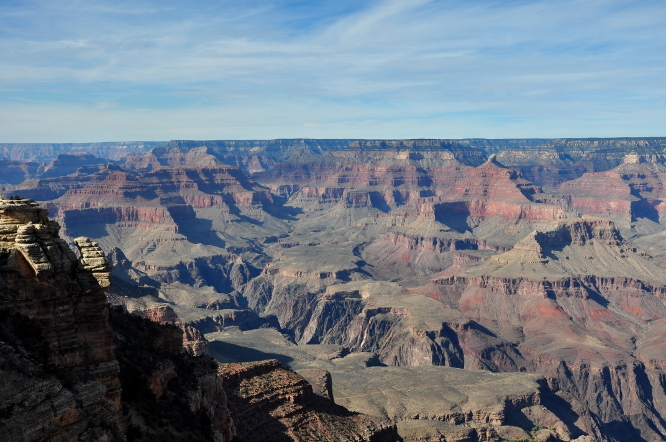 Grand Canyon was formed by the Colorado River which flows west through the Canyon. 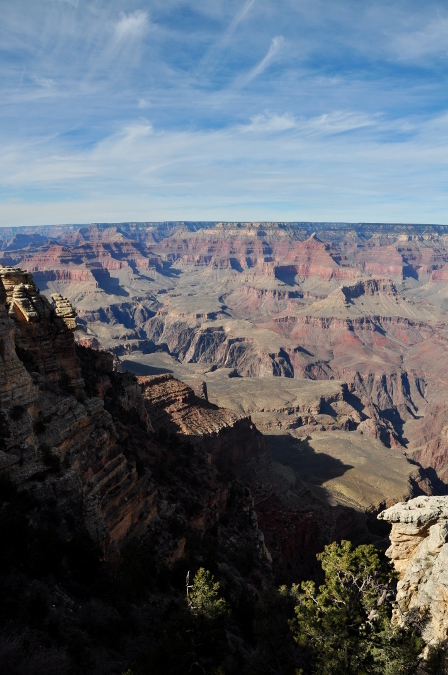 The length of Grand Canyon is 277 river miles, average width is 10 miles (max. 15 miles) and average depth is 4,000 feet (max. 1 mile). If you would like to hike below the Rim, prepare for spending 7 full days and nights down there. Grand Canyon reveals a beautiful sequence of rock layers (12 layers). The carving of the canyon is only the most recent chapter of its entire history, which includes rock nearly two billion years old in the bottom of the canyon, land masses drifting apart, sea level rising and falling, mountains forming, and relentless forces of moving water. 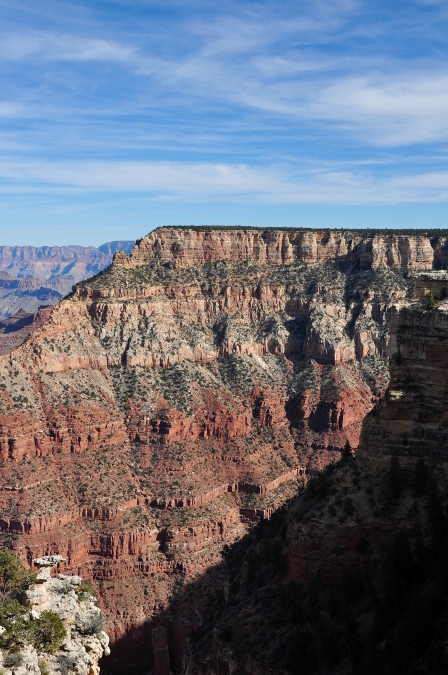 Due to these factors, Grand Canyon’s geology is remarkable. One Canyon, two Rims. 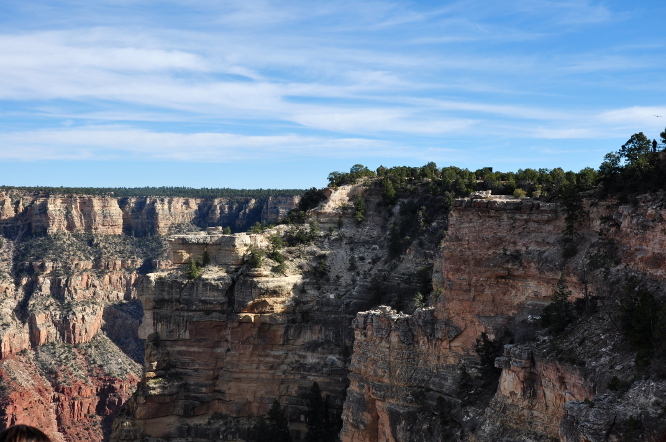 The South Rim and north Rim are just 10 miles apart as a raven flies, but 215 miles away road. South Rim is open all year. 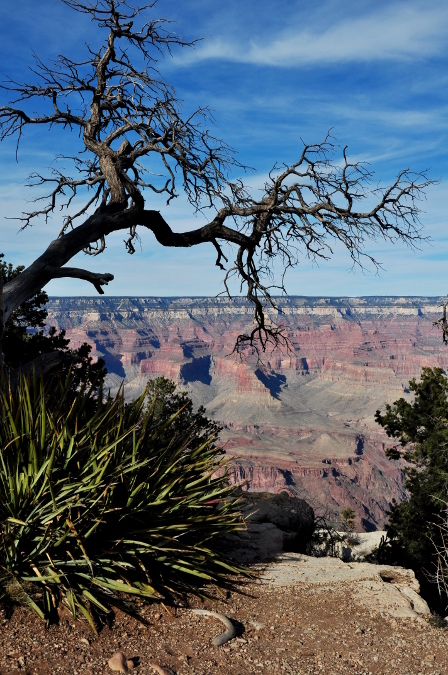 North Rim services are open min-May to mid-October. During winter, the North Rim is closed due to snowing. 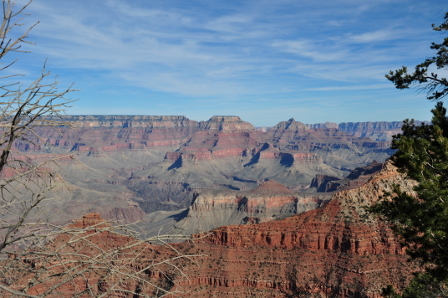 In this post, we will be focusing on exploring the South Rim. Entrance fee are $25 per private vehicle or $12 per person entering the park by public transportation, by bike, on foot or via the Colorado River. Admission is for seven days and includes both rim. No refunds are available due to inclement weather. Senior passport for a one-time visit is $10 for US residents aged 62 or older. Annual Grand Canyon passports, valid for the calendar year, are available for $50. Overnight backcountry permits are $10, plus a $5 per person impact fee for each night camped below the rim and $5 per group for each night camped above the rim. 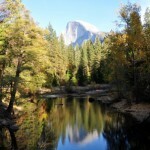 Frequent hikers can purchase an annual pass, which is $25. First, you gotta stop by Grand Canyon Visitor Center (National Geographic Visitor Center) whether you have or haven’t planned out your trip beforehand. 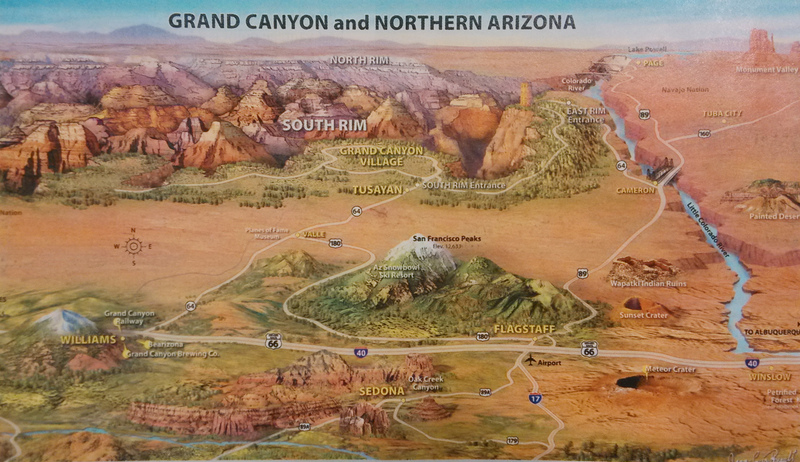 Grab the Grand Canyon National Park newspaper (The Guide) to absorb more information to make your trip successful. It is also available at all entrance stations. 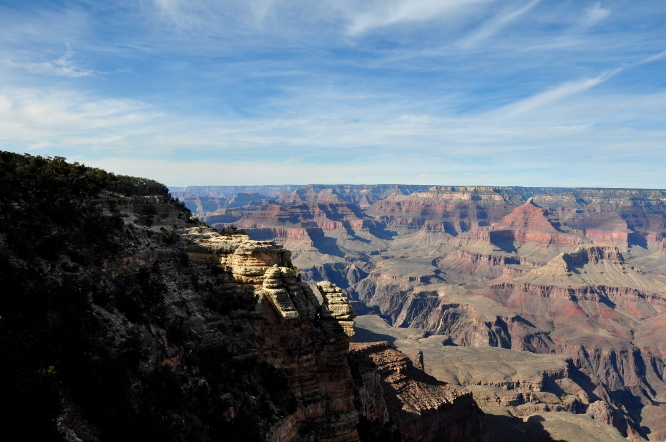 Mather Point is located just minutes away from the visitor center. The entire area was under improvement for two years and now, accessing the viewing area has never been easier. 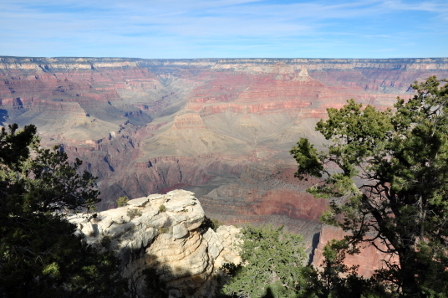 It’s said that no visit to Grand Canyon National Park is complete without a stop a Mather Point. It’s absolutely true. 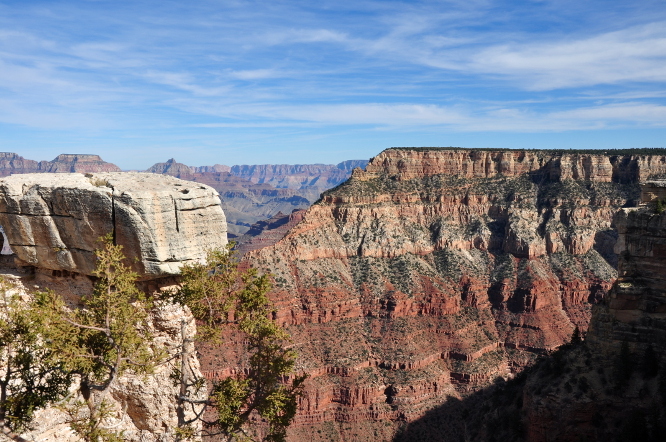 The Canyon’s expansive vistas in front of us left us shocked! At Grand Canyon Visitor Center, a recently released interpretive orientation IMAX film Grand Canyon – The Hidden Secrets is available for $13 including lunch. The movie packs 4,000 years of Grand Canyon history in only 32 minutes. We didn’t watch it but we did have to wait until those who bought the tickets to finish watching and then went to Mather Point together. Another down side of attending a tour, isn’t it? Good thing is that they allow group guests to take their lunch into the movie theatre and eat while watching the IMAX film. 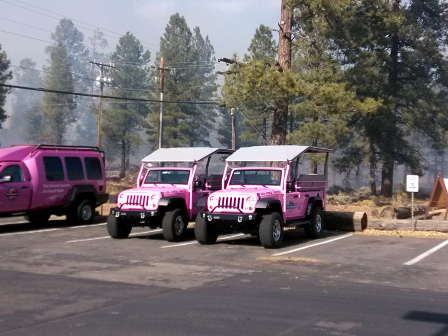 Pink Jeep Tours are the newest addition to the National Geographic Visitor Center. Digging out more details about the pink jeep makes me feel that an open-air experience of the Grand Canyon to some of the most fascinating points should be pretty cool. Here are the available itineraries and prices. 1. 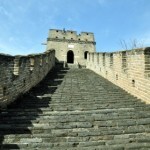 The Grand Entrance: stops at several of the most prominent vistas. 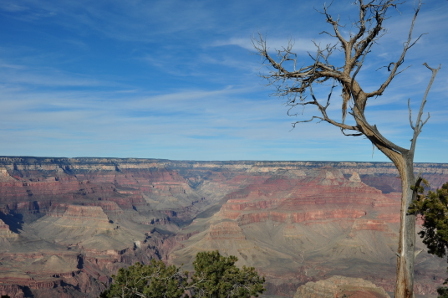 You can gain knowledge about the Canyon at each stop with an interpretive guide. The trip ends at Grandview Point, allowing visitors to experience one of the most expansive, gorgeous, and magnificent vistas. 2. 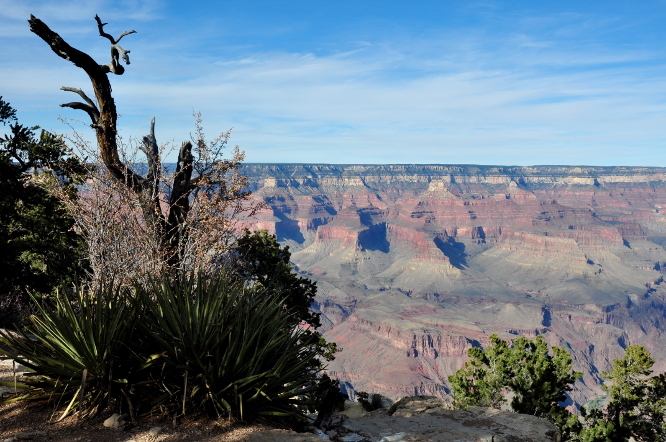 The Grand Deluxe: goes towards the East Rim and stop at many prominent vistas to Desert View Watchtower. 3. The Grand Finale: offers sunset watching at Grand Canyon. For an extended sunset trip, take the Grand Finale Deluxe for the full East Rim Drive as the sun makes its final display in the Canyon. Oh, almost forget to mention that all pink jeep tour prices include National Park entrance fees and a free ticket to the IMAX film. 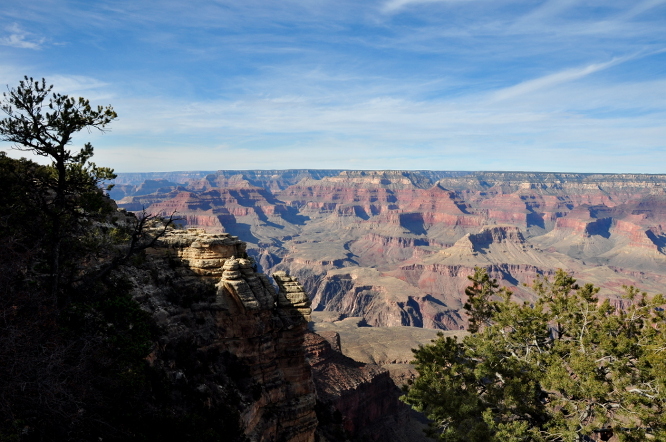 When it comes to hiking in Grand Canyon National Park, you have two options. One is the golden standard to hike below the Rim. 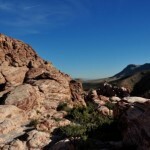 The other one is easier and more accessible – Paved Rim Trail. There’s a free shuttle bus system available in the park from April to October. Park in any parking area and hop on the bus. Buses run at frequent intervals from before sunrise to after sunset to visitor centers, lodges, restaurants, gift shops, overlooks, and trailheads. For routes and schedules, click here. 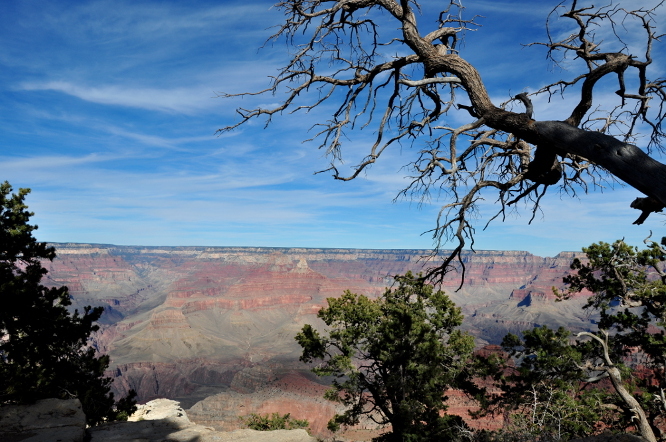 An hour in the South Rim was way too short and precious for us to enjoy and learn more about Grand Canyon. But we did manage to put up some travel tips for you. Bring sunscreen, sun glass and a hat. Weather changes quickly at Grand Canyon. Be prepared with warm clothes. Watch your steps whether you are hiking or at any of the view points. Wear comfortable walking shoes and outdoor clothing. If you are interested in a Grand Canyon rafting tour, visit Grand Canyon River Outfitters Association website to plan your trip in advance. Did you know that you can ride the rails to the South Rim? The train departs the William Depot each morning. 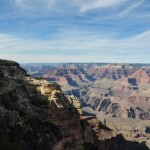 The trip to the Canyon covers 65 miles of classic Old West territory including high desert plains with endless vistas, small arroyos and portions of the world’s largest ponderosa pine forest. Visit THE TRAIN to find out more information. Source: Grand Canyon Tour Guide. Click to enlarge the map. You know, I couldn’t emphasize more about how strongly we do not recommend you to attend any travel tours like we did. 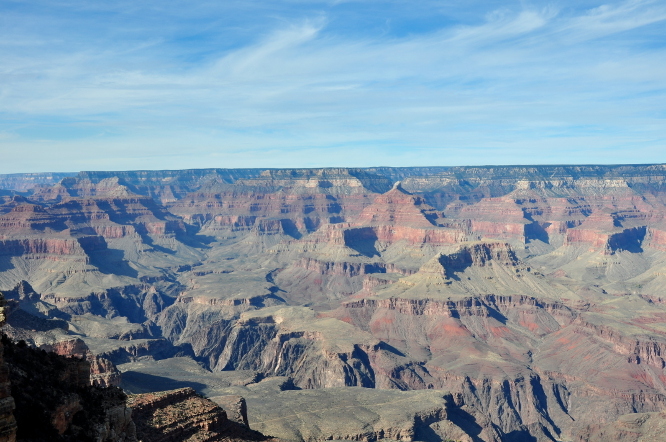 Look, how many cool stuff you could do at Grand Canyon? Within only one hour with a group of people on a tight schedule in the park, we wanted to go back like crazy. That’s exactly how we felt in Yosemite National Park as well. So please plan ahead and don’t miss out. Thank god we didn’t stick with the group on the last day of the tour, which was nothing but a 9-hour brutal bus ride back to SF. Instead, we were freely driving around in one of the most charming cities in the world by ourselves. Stay tuned for Las Vegas. We have some good stuff to show you!